How Does the Toyota Pre-Collision System Work? If you’ve been itching to get out of Boulder City and head out into the desert, then the Toyota Tundra is for you. Choose from two powerful V8 engines, take advantage of off-road ready TRD styling and rest easy knowing you have the protection of Toyota Safety Sense standard – all at lease prices you won’t be able to believe. 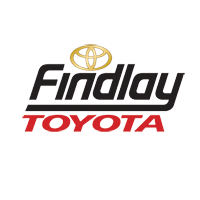 Find your perfect fit in our inventory below, then keep reading to see why more Pahrump thrill-seekers choose Findlay Toyota when they’re ready for a better drive. When you shop Findlay Toyota, we treat you like family. Learn more and see the Findlay difference when you schedule your Moapa area test drive today.